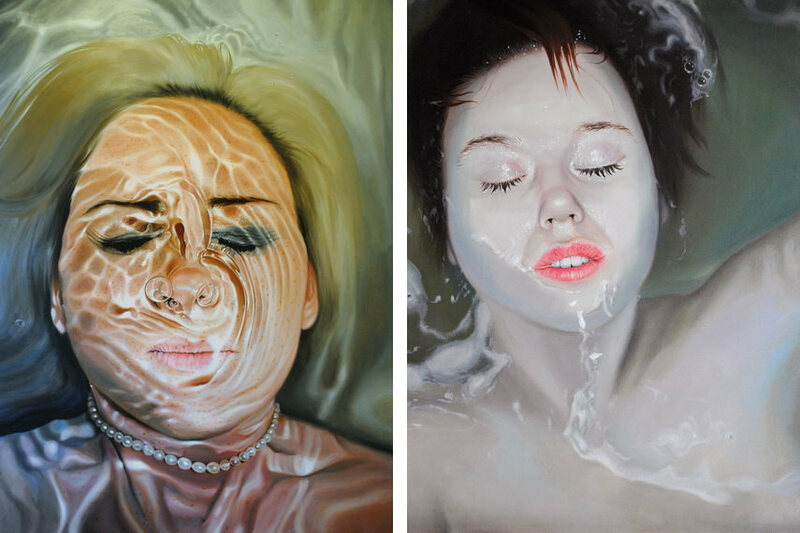 Inspired by human emotions and the tedious details in everyday routine, Linnea Strid creates hyper-realistic oil paintings depicting the insignificant actions involving water that we reflexively repeat in any given day. The artist carefully captures most intimate moments of self-examination, contemplation, and tranquility. Her paintings are interwoven with a much-heightened sensibility, emphasizing the details and textures that make them uncannily amplified. Therefore, it can be said that Strid’s photo-realistic style always gives an impression of strong desire to convey an odd feeling, a forgotten memory, in general, an observation of human behavior. 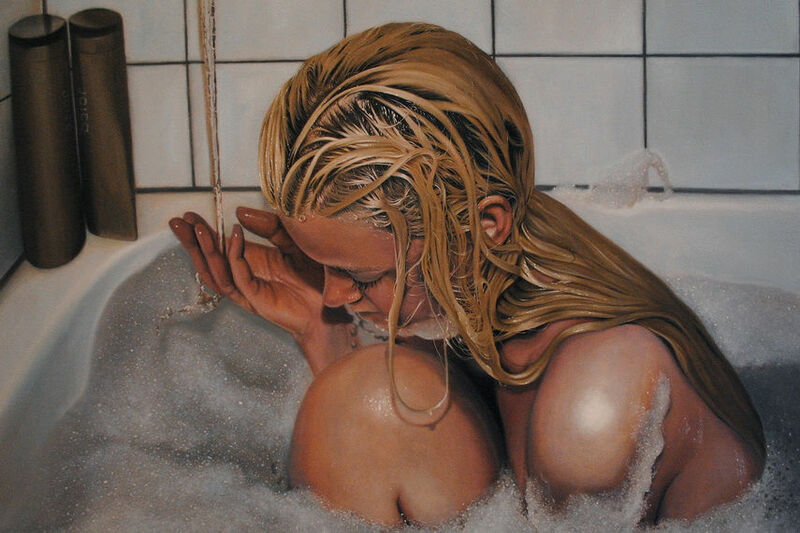 Linnea Strid was born in 1983 in a small Swedish village. She was 16 when her family decided to move to Fuengirola in Southern Spain, which was a fertile ground for a young artist, with a lot of art shows going on everywhere. Little by little, she stepped into the art world, starting up her artistic career with several exhibitions. Her first solo show was in 2003, which was quite of success. Strid realized that an artistic career is manageable and returned to Sweden in 2004. The artist is especially fond of realism and works patiently for several hours a day with tiny details. The reflections, light, and shadows, are of her particular interest while working especially because she is practically obsessed with painting water in different shapes and forms, often combined with both honest and painfully exposed portraits showcasing a range of human emotions. Whether the subjects are submerging or levitate in water, their vulnerability is fully exposed and the thin line between life and death becomes even more apparent. 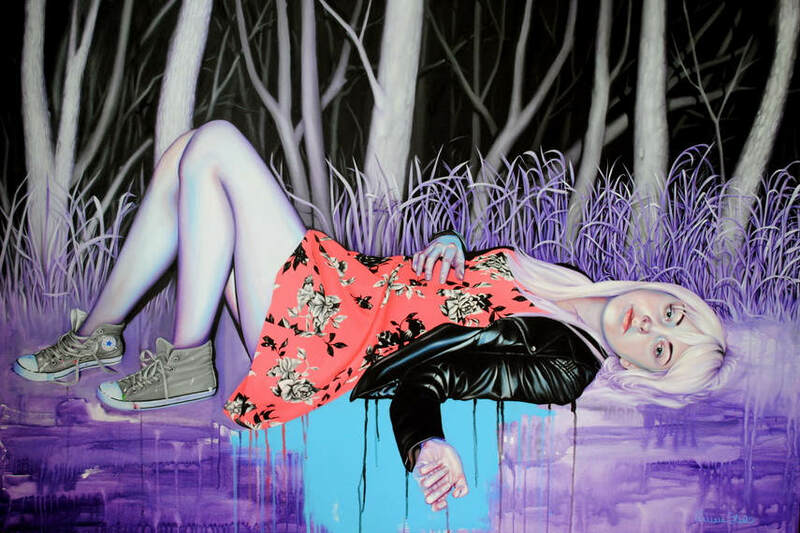 Since the subjects of Linnea Strid are mostly woman to some extent it seems as if the artist employs emancipatory discourse on the feminist trail. Regardless of any particular genre or influence, Strid explores the darker side of the human psyche conveyed through the water. The insight into the most private moments and personal stories expressed through painting reflects the issues of mortality, fear of living and dying, anxiety and loneliness. Depending on the subject, the artist employs the certain amount of underlying irony and unpredictable feelings in order to empower the whole composition. The call for introspection is additionally accentuated by the fact that the works are like snapshots of hers or someone else’s everyday life and seem to be unbelievably realistic almost like a photograph. This young Swedish artist is exhibiting continuously and her works have been published in several digital and print press. The ongoing interest in her work is not a surprising since her sensitive portrays are inviting and are appealing not only in an aesthetic sense but rather in conceptual. 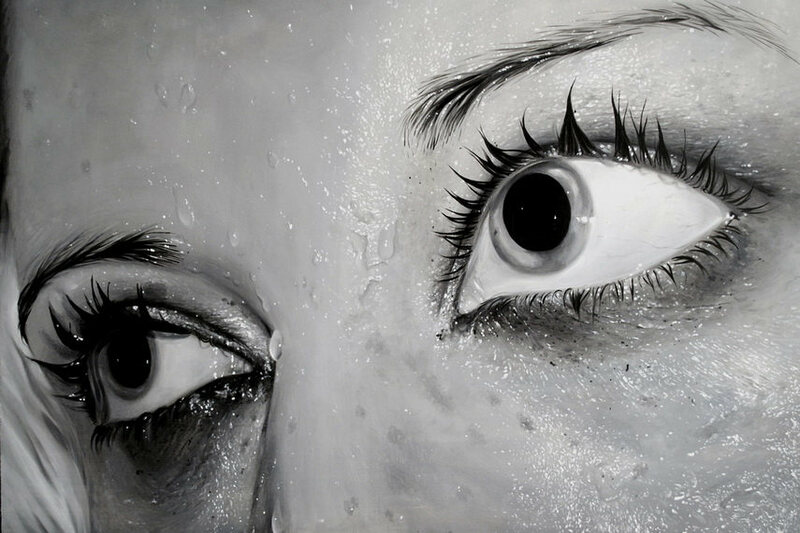 The artistic practice of Linnea Strid is without a doubt a really good example of how the easel artwork still can provoke and excite the observer with simple and unpretentious, yet well-thought executions. Linnea Stride now lives and works in Norrsundet, Sweden.